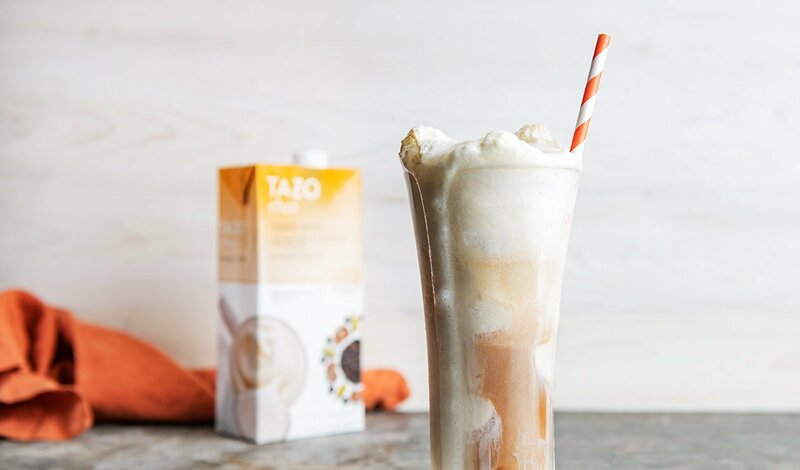 A warm twist on a soda fountain staple. PourTazo Tea Concentrate Classic Chai Latte into bottom of chilled pint glass or glass mug. Scoop ice cream over top of Tazo. Pour ginger beer over ice cream.